BRANT BJORK UNVEILS FIRST ALBUM DETAILS & ANNOUNCES EUROPEAN TOUR! New Album ‘Mankind Woman’ Coming Out In September On Heavy Psych Sounds! Kyuss & Fu Manchu-legend Brant Bjork is back with a brand new record! Today the godfather of Desert Rock unveiled the hotly anticipated details about his thirteenth solo album titled ‘Mankind Woman’, set to be released September 14th 2018 on Heavy Psych Sounds Records! 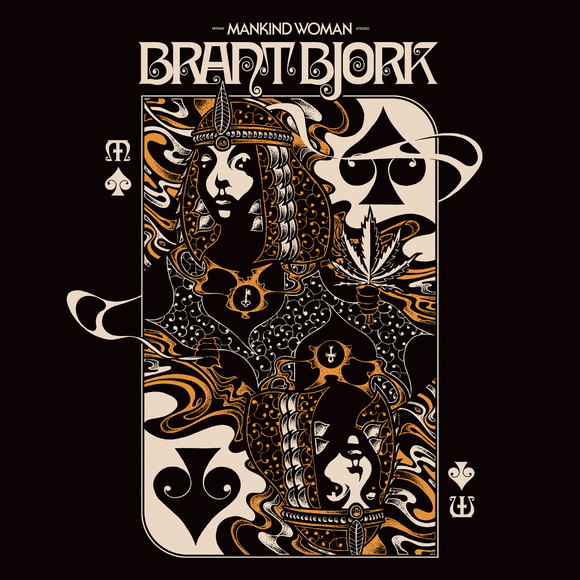 Although this is indeed a Brant Bjork record it is the first record Brant so closely collaborate with a producer and co-writer; his Low Desert Punk Band guitarist and friend, Bubba Dupree. Brant and Bubba wrote and performed the music along with guest appearances by bass player Armand Secco Sabal, Nick Oliveri and vocalist Sean Wheeler who has been a touring member of the Low Desert Punk Band. 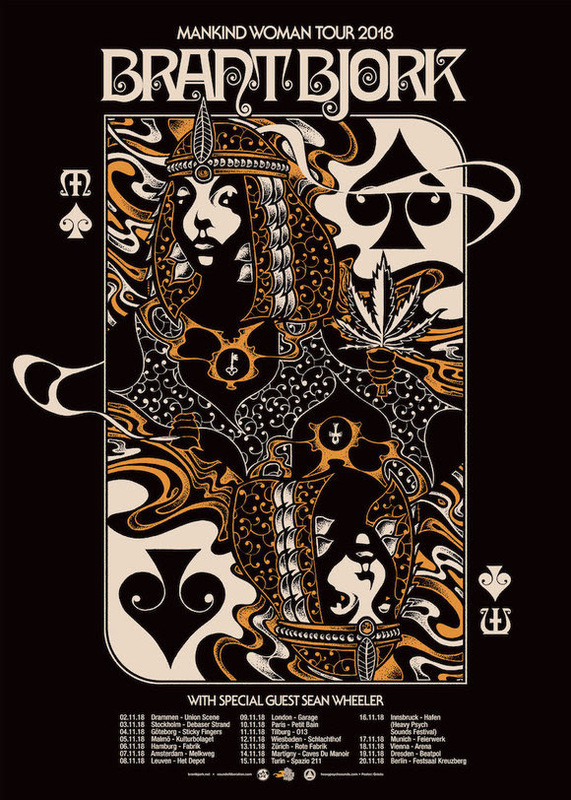 The recording took place in March of 2018 at Zainaland, a creative villa owned by Brant Bjork’s wife, Zaina Alwan, in the California desert town of 29 Palms. The record was recorded and engineered by Yosef Sanborn who also owns and operates Massive FX pedals in Los Angeles. Multiple pedals designed by Yosef were used by Brant and Bubba for this record. Additional tracks were recorded by Bubba Dupree at Brant Bjork’s home studio in Venice beach California. Brant and Bubba describe the sound of ‘Mankind Woman’ as modern classic. It is evidently clear that both Bjork and Dupree specialize in the craft of the sound and feel of the music spawned in the 60’s and 70’s. This record is inspired by this great era, however the intention was not to try to recapture or mimic in retro terms these influences but to strive for a contemporary quality. Brant Bjork might have gone deeper in the lyrics than on any record before. Focusing on personal sensitivities, elite hypocrisies, racism, sexism and the daily struggle to find peace, love and understanding in today’s American society. Once again, Brant Bjork created a record that reminds the listener that it is the ingredients of the jazz, blues and funk, that makes rock music taste so good. A must-have for all collectors, genre-fans and beyond! In support of his new album, Brant Bjork will be heavily hitting the road again this year!